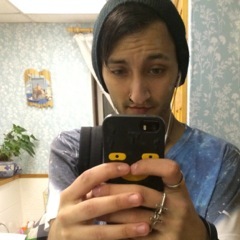 After letlive. ended, the world waited to see what the next move was. Then came The Fever 333. Taking the hooks, big riffs and melding them into a more hip-hop orientated style, Jason Aalon Butler was back and in a big way. The fact that they have released a total of eight songs and sold out Islington Academy, is a massive testament to the excitement that surrounds this band. Opening with a white sheet with propaganda projected onto it in black and white, referencing everything from the Ku Klux Klan, to the current shootings and stabbings that are happening, a hooded man is placed on centre stage. The announcements swell and end with big bass buzzing through the venue, Butler removes his hood when the sheet drops to reveal more hooded people and the band slam straight into ‘Burn It’ an unreleased song but has the crowd shouting back every word. Debut single, ‘We’re Coming In’ follows and sees Butler live up to his legendary live antics, climbing on to the balcony to belt out the majority of the song. Butler seems to have found two kindred spirits who get in on the crazy moves, guitarist Stevis Harrison throws himself around the stage and into the crowd while drummer Aric Improta spends a lot of time jumping up and down from his stall and pulling apart his kit. ‘Made An America’ follows and sees the crowd whipped up into a frenzy before another unreleased song ‘Animal’ brings the hip-hop to the fore. Moving into a beatbox and drum solo that has all three members smashing out individual drums before Improta legitimately broke his kick drum. This band are very special and have the potential to be what this scene needs to push forward. The Fever 333 use the 3 C’s as their manifesto. Community, Charity and Change. At one point, Butler has the lights turned down and asks a serious of questions to the crowd about whether they’ve ever felt marginalised or discriminated against and to put their arm in the air. When the lights go back up, nearly everyone has an arm in the air and that is the main focal point for this band. Be the change you want to see and never feel like you’re alone, because there are many people around you who feel exactly the same. The first headline demonstration in the UK can be heralded as nothing but a success. A sold-out show from just eight released songs and a whole load of hype was justified. 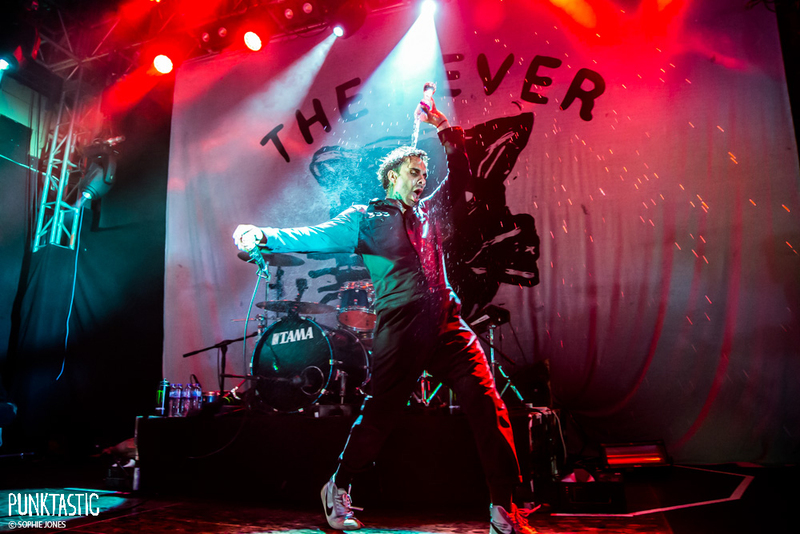 Jason Aalon Butler showed again why he’s the best frontman of his generation and why The Fever 333 should be taken seriously.